Rimfire rifle - which one would be the best for you to choose? 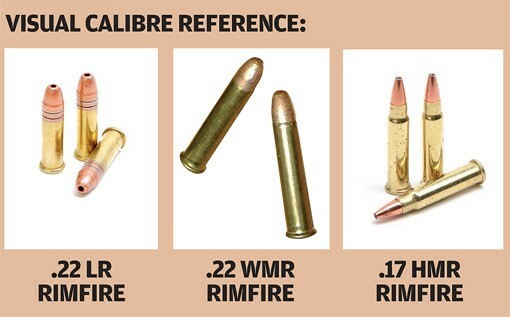 Which rimfire rifle would be best for you? I’ve been asked by an old friend to fit and zero a scope to his new BRNO rifle. Of course I can’t zero it for him. But what I can do however is make sure it’s shooting to the best of its ability. Accurately. To help him get the results he wants. Then all my friend needs to focus on is making minor adjustments to suit his technique and preferred zeroed range. In my recent rifle tests I’ve been trying subsonic hollow point ammunition from Remington, CCI and Eley. It’s been interesting to see what has had the best results and what works with what. The BRNO seems to like CCI and Remington, while my old BSA 12-15 Martini action target rifle prefers Eley or CCI. In the graph below you’ll see the bullet trajectories for our three cartridges, from 50 yards out to 175. The .22 LR is zeroed at 70 yards and the other two at 100. The effect of extra velocity is immediately apparent. If you’re out to shoot rabbits the .22 Long Rifle reigns supreme to around 75 yards. A safe backstop is vital when you’re shooting the .22LR because the bullets are b*****s for richocheting. The velocity also means a relatively curved trajectory so that if you zero the rifle at 70 yards the graph shows the bullet will be 1½ inches low at 80 yards, 3 inches low at 90 and 5 inches down at 100. With small targets that means precise judgment of range and accurate shooting. The long rifle’s big brother, the .22 WMR, adds another dimension because it packs a lot more punch. It has a muzzle velocity of just over 1,900 fps so it shoots flat enough to reach out beyond 100 yards. 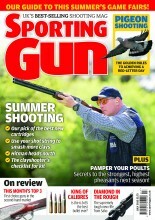 A friend in the Scottish Borders swears by it for shooting foxes. Then there’s the relatively new arrival the .17 HMR. This takes velocity to the heady heights of 2,550 fps – which used to be the stuff of dreams for a rimfire. It increases the effective range on crow-size targets to 150 yards – or beyond, if you have an accurate rifle and zero an inch or more high at 100 yards, rather than dead-on. Some people shoot foxes with the .17. When Steve Hornady launched the cartridge he said it was not designed for animals as large as foxes. I heed his words. 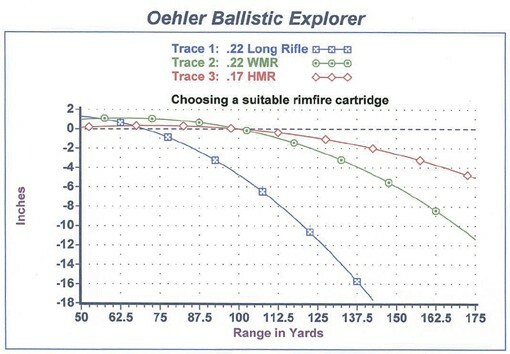 The graph below shows the retained bullet energy for the three cartridges all the way from the muzzle to 500 yards. It also illustrates the truth about not rushing things. Velocity is a major factor in the calculation of energy and it’s easy to forget that the faster you start, the quicker you slow down. 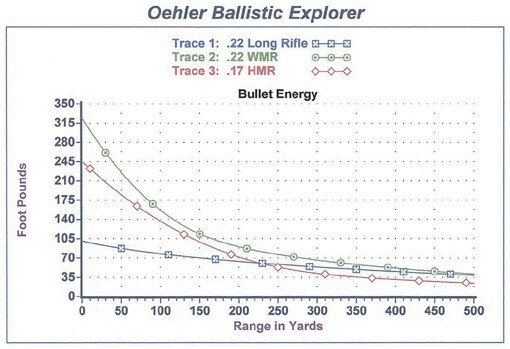 When it comes to striking energy, at longer range bullet weight becomes more important than muzzle velocity and although the .17 HMR sets off at 2½ times the speed and with more than three times the energy of the .22 LR, by the time the two bullets reach 250 yards the heavier .22 hits harder. So – we’ve looked at several options. Which cartridge are we going to choose? My own view is that everyone should have at least one .22 rimfire and possibly two; and then either a .22 WMR or a .17 HMR, or both – because you can’t beat having the right tool for every job. While the good old .22 Long Rifle has been with us almost since the days of Davy Crockett there’s now considerable interest in two newer and more powerful rimfire cartridges. The .22 Winchester Magnum Rimfire (.22 WMR) has been around since 1959 and more recently (I first tested a .17 in early 2003) the .17 Hornady Magnum Rimfire (.17 HMR) arrived like a bolt of lightning. You’ve finally decided to buy a high-powered rimfire rifle, but which one’s best for you?